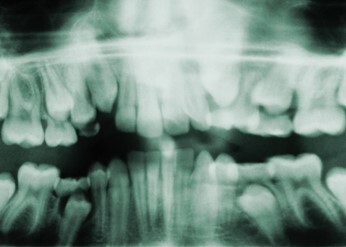 Dental radiography, commonly known as dental X-Rays are used by dentists to examine the dental structure of the patient, find hidden teeth or bone loss or as a follow-up measure after certain dental treatments. Dental X-Rays are images formed using a small controlled burst of X-Ray radiation which penetrates the soft tissue and bone structure to reveal a complete image of the dental structure. Teeth are very visible on film and appear lighter than the surrounding matter. Dental X-Rays are very useful for identifying tooth decay or periodontal disease which otherwise could be missed during a clinical examination. - Bitewing X-Rays: show the upper and lower back teeth; they are commonly used to examine if the patient has any interdental caries or recurrent caries and to show how the teeth line up. They can also be used to show bone loss, dental infections or gum disease. - Periapical X-Rays: show the entire tooth and also capture the tip of the root they are used to determine the cause of pain and to visualize the entire tooth as well as the surrounding bone. They can be used to find dental problems such as impacted teeth, abscesses, cysts, tumors or changes in the bone structure. - Occlusal X-Rays: are used to see the roof or floor of the moth are used to determine if there are any extra teeth that have not yet broken through. - Panoramic X-Rays: offer a broad view of the mouth, sinuses, nasal area and jaw joints; they are used to plan specific treatments, such as dental implants or extractions, and can also reveal potential problems. 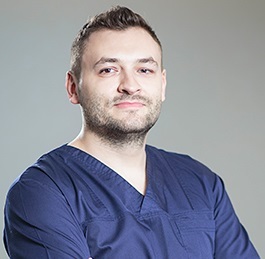 Our team of dentists in Romania will decide which type of X-Ray is best suited to diagnose all of your problems and help in determining the appropriate treatment plan. Our dentists are fully equipped to perform the necessary dental X-Rays. You will not need to go to another location to perform the procedure and our dentists will determine the treatment plan as soon as they have examined the X-Rays. The equipment we use has the lowest level of radiation possible. You do not have to make special preparations before taking a dental X-Ray. You will wear a special anti-radiation apron and you will have to bite down on a small piece of plastic. The procedure is quick and painless. If you are interested in dental travel, our team of experienced dentists is ready to provide specialized care at affordable prices. 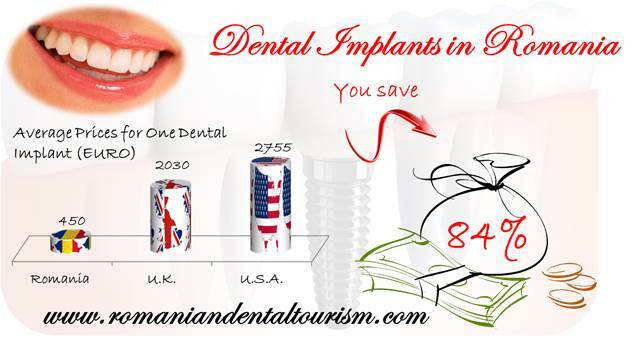 Please contact our team if you are interested in dental treatments abroad and we will take care of your trip to Romania.